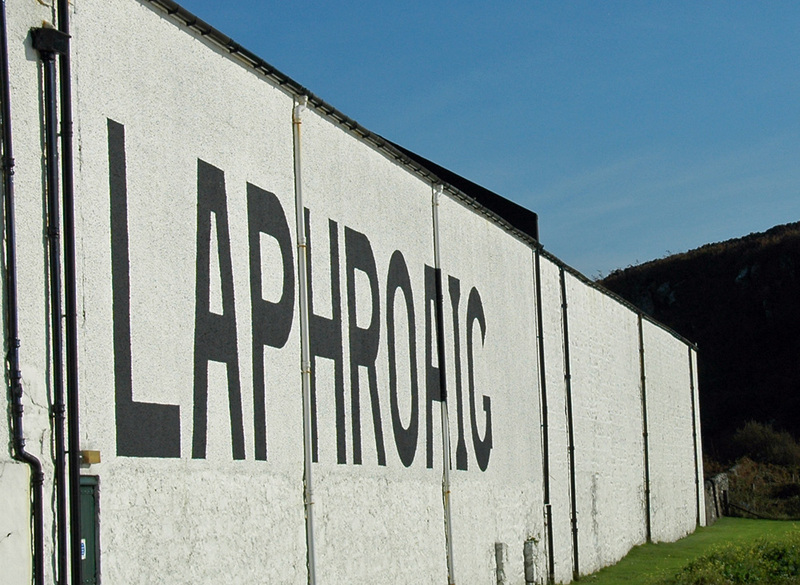 A view of the famous warehouse nr.1 with the Laphroaig lettering, right next to Loch Laphroaig on Islay. Update: Forgot to mention, this is an older picture. The lettering has since been repainted in much bigger in late 2013. I’ll try to recreate this view and take a new picture during a future visit.